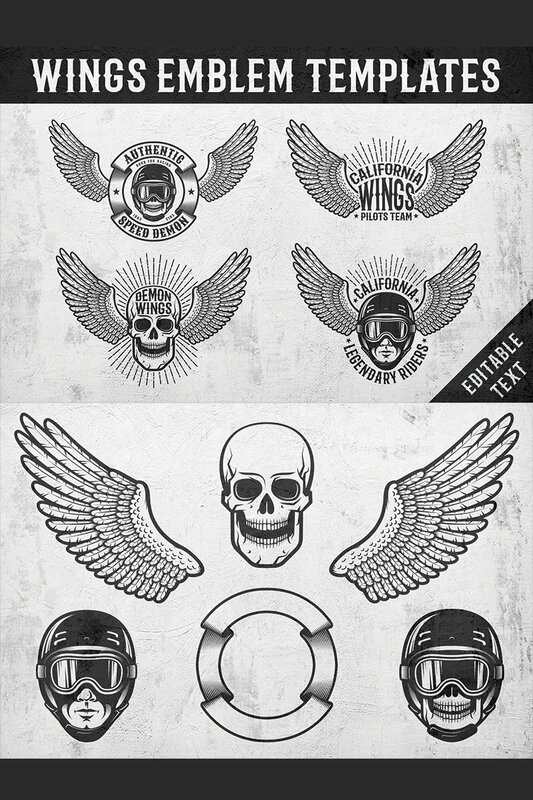 An excellent set of emblems with wings, head in helmet, skull and editable text. Good for racers, pilots, bikers and all that. Just replace the text with the one you need and enjoy! 4 ready emblems with wings. Vector AI CS6, EPS10 and raster layered PSD, JPG files. AI CS6 and PSD files with editable text. Set of separate design elements. Vector EPS10 and raster layered PSD files.